With the Seco 4852-15 Laser Column Clamp you don't need a tripod to provide a secure and stable mount for your laser or theodolite. 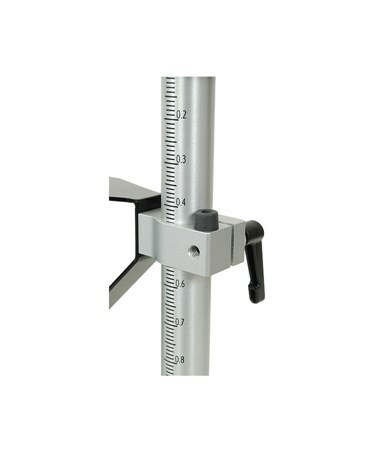 This clamp mount attaches to steel or wood columns for a quick and streamlined indoor setup. The ratchet strap tightens quickly onto round or square columns up to 20” in diameter. There are holes in the corners so you can screw this bracket into a wooden column for extra-secure attachment. You can trust your expensive equipment to the sturdy yet lightweight steel and aluminum construction – just attach to the platform with its 5/8 x 11 thread. 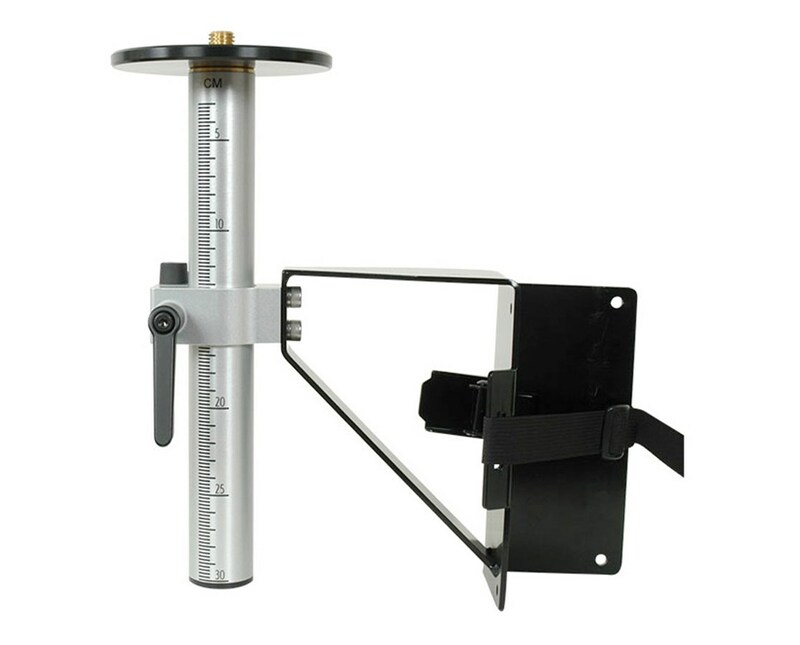 Once you attach your instrument, this bracket mount lets you rotate it for the perfect positioning. 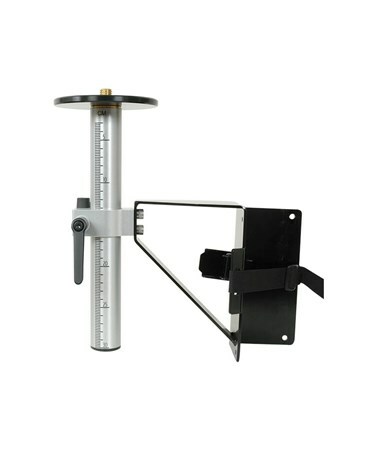 You can also raise and lower it on the 1' (30 cm) pole for precise height adjustments. The distance from the center of the mounting stud to the column is 6.5”. The Seco 4852-15 clamp weighs 5.1 lb (2.32 kg).